In Corpus Christi and Port Aransas we are known for great ocean breezes that make for some of the best kitesurfing lessons in the country. 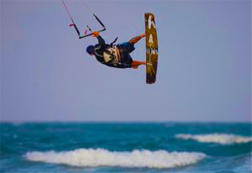 Port A H2O offers certified instructors for year round kiteboarding lessons in Corpus Christi & Port Aransas. We utilize shallow, flat water locations that make it easy to learn. On windy days our kiteboarding lesson is a great way to take advantage of the coastline and try something new. Kiteboarding is not for everyone, but for those up for the challenge it is the most rewarding boardsport you will ever learn! Schedule your lesson now for your next trip to Port Aransas. SUP/Kayak lessons and rentals in Port Aransas and Corpus Christi with expert instruction. 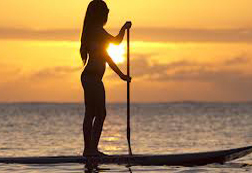 SUP (stand up paddle boarding)can be learned very easily and opens up endless places to explore in Port Aransas and Corpus Christi or anywhere there is water. We also have kayak rentals available by appointment. Port A H2O utilizes flat water paddling locations in Port Aransas and Corpus Christi that makes it easy to learn for first time paddlers. Offering free drop off and pick up service with every rental as well as on site instruction. We take the hassle and stress out of transporting heavy boards. Our onsite instruction is perfect for those who have not paddled and are looking for a stress free experience. Simply make a reservation and show up to your boards and professional instructor waiting at the water. Port A H2O offers surfing lessons for beginners year round in Port Aransas and the surrounding area. Waves are nice to watch, but riding them is a thrill you shouldn’t leave the beach without experiencing. All equipment is included with our surf lessons. Our surfing instructors are CPR & first aid certified with over 15 years of surfing experience. The goal of our surfing lessons is to be safe and most of all have fun.